Congratulations. 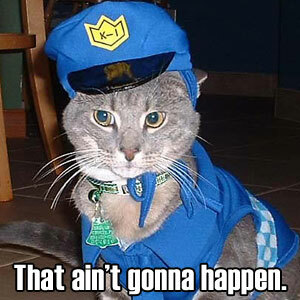 You finally convinced your department to let you start an official Facebook page! So you set up an account, upload your department’s logo, and start posting. “This is great!” you think to yourself. You get your family to follow you. You get your friends to follow you. You get some of your colleagues to follow you and before you know it, you have maybe 50 people following the department’s page. But then, things start to go flat. The number of followers you get stays the same, or maybe goes up one or two people a month. What happened? You thought if you built it, they would come. Social Media is so hot right now and people should be flocking to your page. But here’s the rub, hardly anyone besides your initial followers that you encouraged to follow your page even know your page exists! There are millions of pages out there and your page has become a needle in a haystack. So what do you do now? You work in a police department not a car dealership, but you really do need to do some selling and promoting to build an audience for your page. The best way to sell your page is to get your Facebook address out there. There are literally hundreds of places to post your Facebook page link but here are some suggestions to get you started. In your department’s press releases even if it’s just a tagline at the bottom to ask people to follow your page. And word of mouth helps too. Have your officers mention it in your Citizen Academies and Self-Defense courses. Have your PIO mention it if they do a public service radio interview. Add it to scripts for your community service videos. Call your local media and see if they will do a story on your new page. The point is building a Facebook page is just the first step in creating a great resource for your community. Advertising that it’s out there is the next and often most important step. 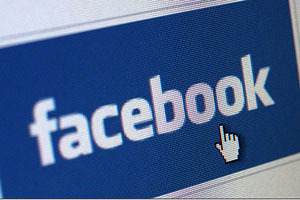 So, what other ways can you think of to promote your Facebook page? How many times in your life have you heard “That ain’t gonna happen” from a supervisor, a co-worker, a friend about one topic or another? How many times have you heard that phrase in particular from a senior officer about your department adopting new procedures, new technologies, and maybe even about your department using Social Media? “That ain’t gonna happen” can sometimes be the motto of people who cannot see beyond the way things have been done for years. Things can feel comfortable when there is no change. The words, “That ain’t gonna happen,” are ones I could live without ever hearing again, although I know I will. It seems there is always a naysayer. But, I’ve also heard those words magically turn from “That ain’t gonna happen” to “How soon can we get it done?” Sometimes all it takes is a little perseverance and patience. If you would like to champion the cause for Social Media in your department, here are some ideas to help you present a good case for it. Learn as much as you can about social media and what it offers. Read about the benefits and pitfalls. Start using social media for yourself. Get your feet wet. See how it all works. Become the resident expert in social media – attend seminars, read everything you can about it online, follow the experts on Twitter, etc. Research how other departments your size are using Social Media. Talk to them and find out what works and what does not. What are their policies? Write up a list of different sections of your department and how social media could help them get information out to the community or how they can receive information from the community. Write-up a strategic plan for the department’s use of Social Media, including who will monitor the accounts, what will be posted, etc. Present your plan to your immediate superior and get them to buy in. Let them know how this plan will benefit him/her and how it can make them look good too. Present this plan to your command staff in a professional manner. Include your research, a well thought out implementation plan, and a preliminary Social Media policy for your General Orders. If you meet with resistance, remember to always pick your battles wisely. 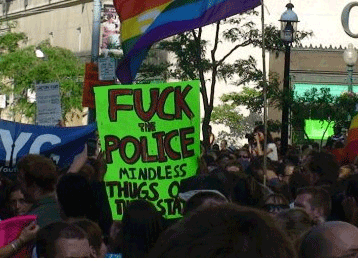 Law Enforcement holds dear it’s long and storied traditions. If you have a command staff that is open to new ideas and is not afraid to try new things, you are golden. But if you have a command staff that sees Social Media as a potential threat, you are in for an uphill battle. And sometimes it’s best to wait until leadership becomes more open to the idea. Social Media offers good opportunities for your department to get information out to the public and tell it’s own story without the help of the media. But sometimes the story could use a bit more audience reach in a short period of time to achieve your goal. This means getting your story to the press. Here are some tips for getting the press to cover your stories when you need them to using both social media and a bit of your own personal charm. Get to know the reporters covering police topics in your area. Meet with them in person and develop a good rapport. If they know you and have a friendly relationship with you, they are more likely to help you in a pinch. 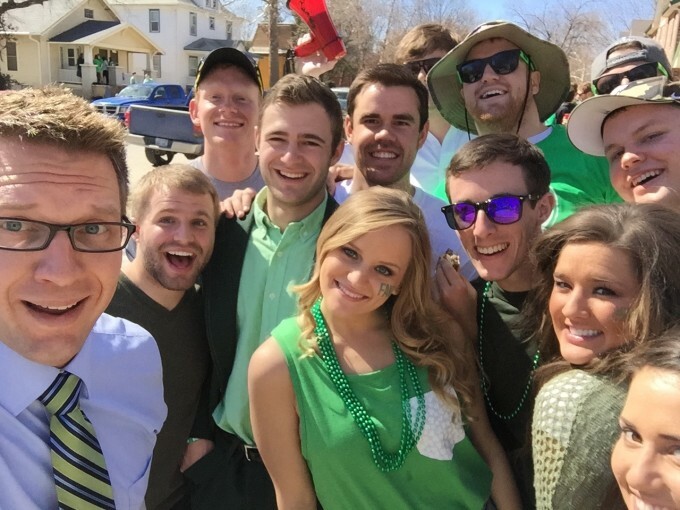 Make sure to follow and be-friend local reporters, media outlets and assignment desks on Twitter and Facebook. Sometimes a media outlet needs a last minute story and they may post and ask for an idea or check on Twitter or Facebook for interesting news to cover. 2. Go Old School When You Need To. 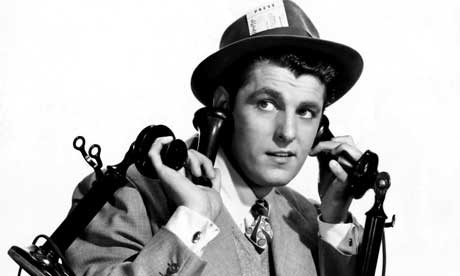 Although it’s been a growing trend for police departments at least in my area to communicate with reporters mostly via email regarding details of an event, keep in mind that a phone call can go a long way towards getting your story covered correctly and favorably. This is mostly because it’s easier for a reporter to ask a stream of questions, get answers directly back, and clarify details with you in a live conversation. 3. Give ‘Em a Shout. If a reporter or media outlet gives you a hand with a story, give them a shout out and thank them on Facebook and Twitter. On the other hand, if a reporter or media outlet posts a negative story, skip the urge to call them out in public. Mistakes or rogue journalism is much better handled professionally and in private. Remember, what’s posted on the Internet stays out there a loooooooooong time. When posting about topics on Twitter or Facebook use a conversational tone. Use of police jargon is easy to fall into, but you’ll get much more response from the public and the media regarding a story if you use plain old English. Not to mention, you’ll get fewer phone calls from the press asking you to clarify what you meant. 5. Time Is Not Always On Your Side. Release your information in a timely manner. If you want the press to cover a story, even if it’s good news, get that information out there via a tweet, a post, an emailed press release, or phone call to your local reporter. Old news is not news at all and the older a story is, the less chance the media will cover it. There has just been a shooting at your local mall. Your PIO is on scene. He/she needs to get word out to the public that this highly trafficked area is locked down and they need to stay clear, so he posts a Tweet and Facebook note with vital information including a link to a map of the area to stay away from via the iPad. The media is, of course, now hounding your department for information. The PIO sends out updates including a mug shot of the perpetrator and staging information for the media via email on the iPad. He/she then films and posts a quick video press release via YouTube or maybe even broadcasts a live Skype session on the iPad. The PIO then monitors press coverage via the iPad to make sure media aren’t broadcasting information sensitive to the securing of the scene. Once the suspect is arrested and the scene secured, your department holds a press conference to go over the events at the mall. Your PIO again sends out notices to the press via email and social media outlets from his/her iPad letting them know about the presser. During the press conference the PIO uses the iPad hooked up to a projector to present maps, pictures and mug shots aiding the explanation of events to the media. The PIO writes and sends a summary press release from his iPad providing any additional information regarding the event. Then prints or saves all of the news articles written or broadcast from his iPad for future reference. Although the above scenario is a bit ambitious as far as what one PIO may be able to accomplish on-scene, the iPad does make all of this a possibility. Below, I cover some of the items you would need to accomplish the tasks covered in the scenario. Please remember that for on-scene use, your iPad will need a connection to the Internet via either cellular or Wi-Fi as discussed in part 1. In part 1, we covered the iPad and how it could be used right out of the box by your PIO and save him or her mountains of time and effort. Now, let’s cover some of the apps (aka applications) and accessories that make it a more powerful tool. By the way, there are thousands of apps out there, I am only listing some I personally use and might recommend for PIO use. NOTE: Apple recently announced the release of iOS 5.0 (possibly in September), an upgrade to the operating systems used by their mobile devices. The 5.0 upgrade to the iPad2 may lead to some of the apps we’ll discuss becoming less necessary as many of the functions they provide will be built into the iPad software itself. Zite and Flipbook are news aggregators – these apps capture stories you may have an interest in and displays them in a magazine format all in one convenient place for you to read. Zite and Flipbook are two of the best. Most local news outlets will usually have free apps or websites for you to follow local events too. Dictionary is pretty self-explanatory. Quick Office lets you view and write Microsoft documents, spreadsheets and Power-Point presentations. 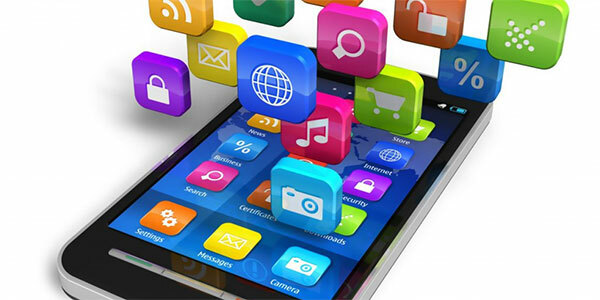 These apps help you post to your departments blog or Twitter and Facebook accounts. E-Projector allows you to project your slide presentation and laser point or electronically sketch on the screen to emphasize something. Quick Office allows you to build and show Power Point presentations right on your iPad too. Dropbox is an online storage site that you create an account for and simply upload your files to. These files can be accessed from anywhere as long as you have an internet conection. Instapaper allows you to save new stories you’ve come across posted on Twitter, Facebook, and the web so you can read them later. Stash allows you to store documents, images and videos securely. Apple will be releasing its new cloud service where you can save and download items. This is similar to Dropbox. PS Express is a very watered down version of Photoshop for the iPad. However, it should allow you enough tools to do basic editing on photos you might take or need to send. Scan to PDF lets you scan a document and save it as a pdf file to send out. Logitech iPad Case and Keyboard by Zagg – $99 – This is an invaluable item. Run, don’t walk to buy one after you get your iPad. It is a hefty metallic cover that doubles as a Bluetooth keyboard. 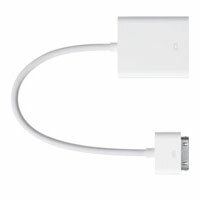 Apple AV Adaptor – $39.00 – You can get either a digital or VGA adaptor to connect your iPad to TV’s and projectors for presentations, etc. Another no-brainer purchase. Apple iPad Camera Connector Kit – $29 – This one’s optional in case you want to use an external digital camera instead of the internal iPad camera. 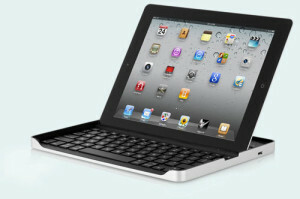 We have barely covered just some of the things the iPad can do and how it can aide your iPIO on the job. If your department has an iPad and uses it for PIO work or other tasks, please share your experiences and what apps and accessories you use in the comments area. Having only had my new iPad 2 for a few months, I am certainly no expert on all of the things you can do with it. To be honest, I thought this thing would be just a cool, fun toy to play with when I ordered it. However, it didn’t take long to realize the many different ways I could use it for my work and how my friends in the Police Public Information Office could benefit from having an iPad to help them get their job done quickly and efficiently. 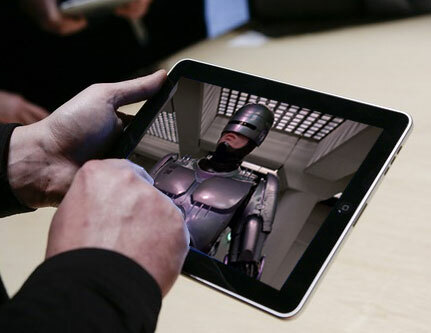 Since it’s what I have, this article will focus on the iPad 2. First of all, the iPad can definitely be used as a toy as there are games galore out there for it. But, there are equally as many serious tools available. As of March 15, 2011, there were over 65,000 apps or applications already available for the iPad and iPad 2. In addition, you can run many iPhone apps on it too and there are over 100,000 apps for it. One of the most powerful features of the iPad is it’s connectivity to the Internet. You can get an iPad that connects via just Wi-Fi or spend a bit more and and get a unit with Wi-Fi and 3G cell connection. If you go with the Wi-Fi only iPad and already have a smartphone, like an I-Phone, you could always use your phone as a “tether” to serve as a Wi-Fi hotspot or portable Internet connection for your iPad. Tethering means you connect to the Internet via your phone and then you connect your iPad to your phone wirelessly, by Bluetooth, or via a cable. If you want to use tethering via your phone, be sure you have an Internet service plan on your phone that allows for tethering. 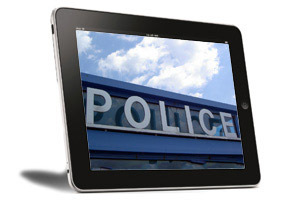 Once you have an iPad and an Internet connection, you are ready to rock the web and inform your citizens of what’s going on in their community and with their police department. Here are some things you can do without downloading even a single app. and more all while in the office or out at a scene. Can you imagine how much time having this tool would save your PIO by being able to send out information and monitor the press directly from the scene? Since there is SO much to talk about regarding apps, we’ll cover these AND some of the cool accessories for the I-Pad next week. In the mean time, if your department uses an iPad already, please share your experiences below and include what apps you are using as well.